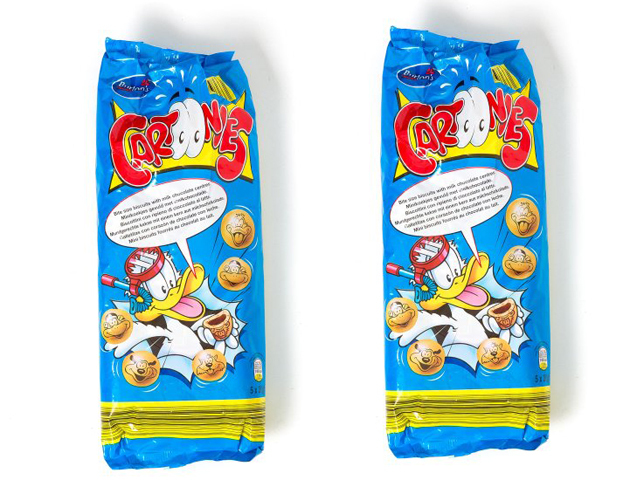 We all have foods that we miss from our childhood, but did you know that some of your old favourites are still on sale today? You can still get your hands on this grub..! The original Sunny D came in two flavours, Florida and California, and it was alleged that if you drank an obscene amount, it’d give you an orange glow! 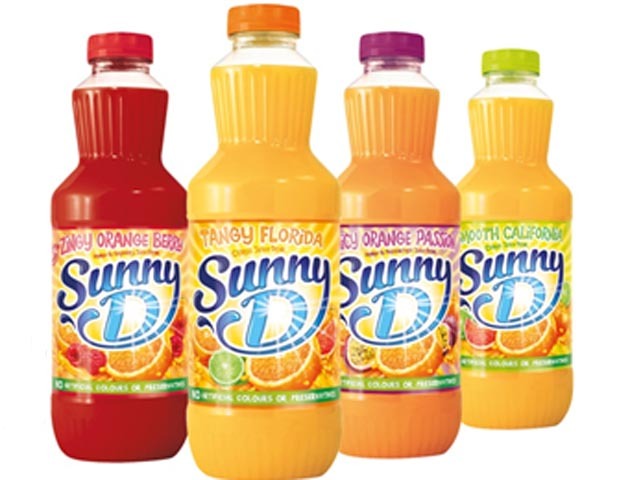 The new Sunny Delight is made from real fruit juices, includes vitamins and comes in a variety of flavours. 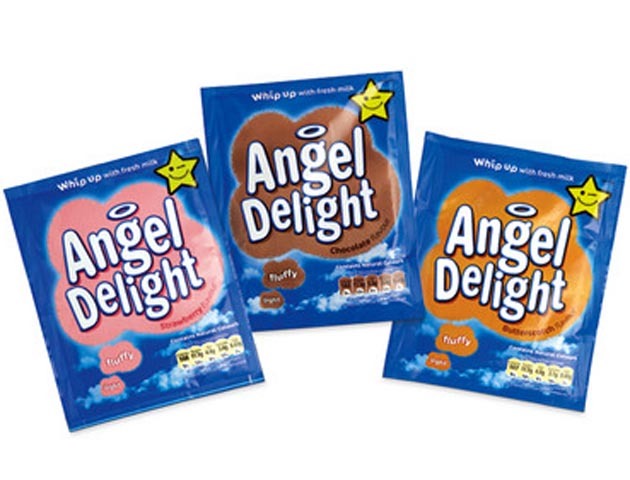 Angel Delight launched in 1967. It has been a family favourite for years and is still available for all to enjoy. For those who may not know, Angel Delight is a powdered dessert into which you whisk milk to create a smooth mousse-like dessert. Currently sold in 5 flavours: Strawberry, Raspberry, Butterscotch, Chocolate and Banana. This Spam has nothing to do with the junk e-mails you may receive, and you might even have a can of it somewhere in your kitchen cupboard. Spam is a canned, precooked meat product. It was first introduced in 1937 and became extremely popular worldwide. 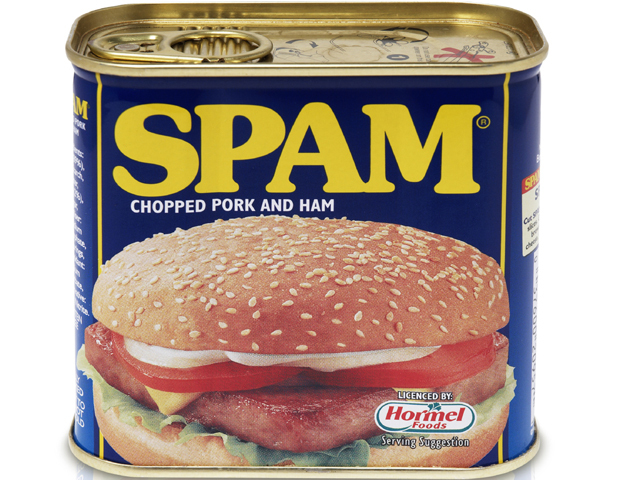 In 2007, the 7 billionth can of Spam was sold…Now that’s popular! You might have to shop around but you can still get your hands on these amazing snacks. 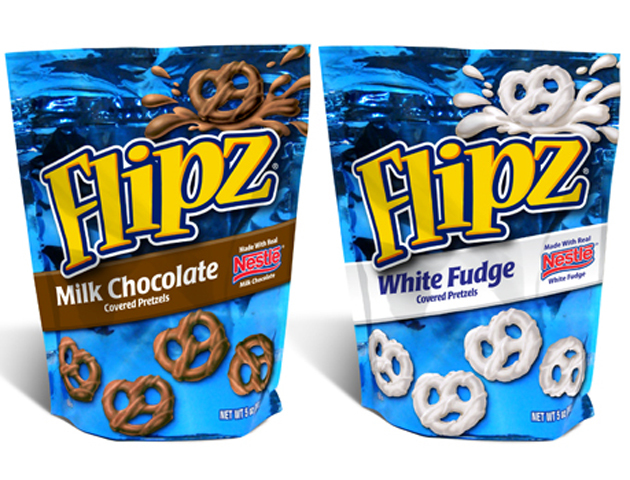 Flipz are salted pretzels covered in either milk chocolate, dark chocolate, white fudge or chocolate mint. Yes, they are just as good as you remember. Fruit-flavoured icing on a mini biscuit, these were a sure-fire favourite for your littl’un’s lunchbox. 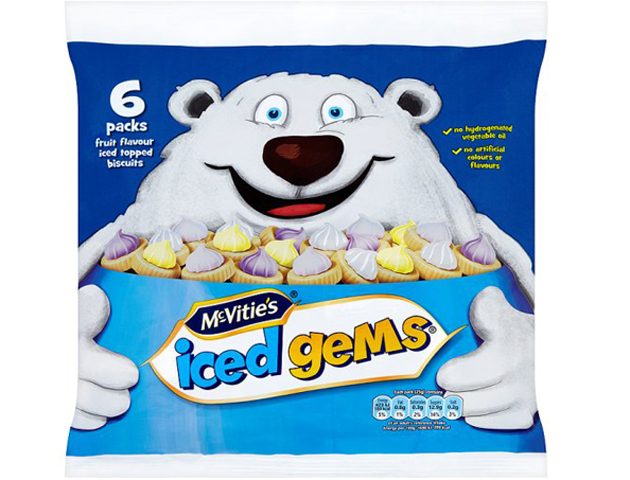 They may have been forgotten by some, but they’re still tasty little gems to us! 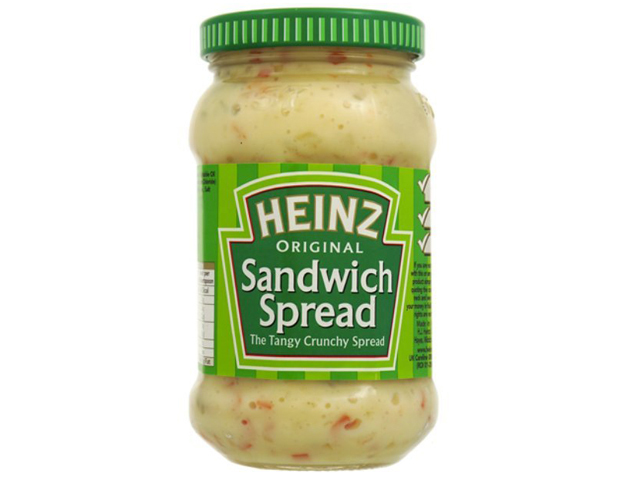 We have such a choice when shopping for sandwich fillings nowadays, but you can still get Heniz Sandwich Spread in most supermarkets. It can be used alone as a sarnie filling or as a relish with cheese or meat. The best biscuits are gone forever! They’re filled with chocolate and had a printed cartoon animal on. Nothing has ever been quite as good. Not even the similar Hello Panda biscuits. I want a Trio, and I want one now! 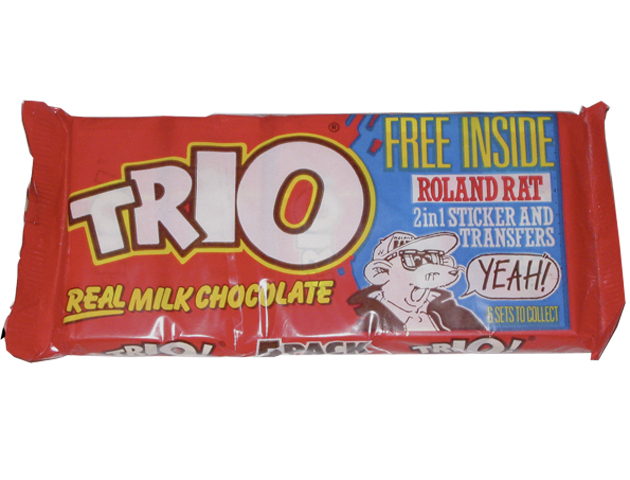 The slogan for Trio biscuits was never truer. It was difficult to resist the urge to munch on one of these. 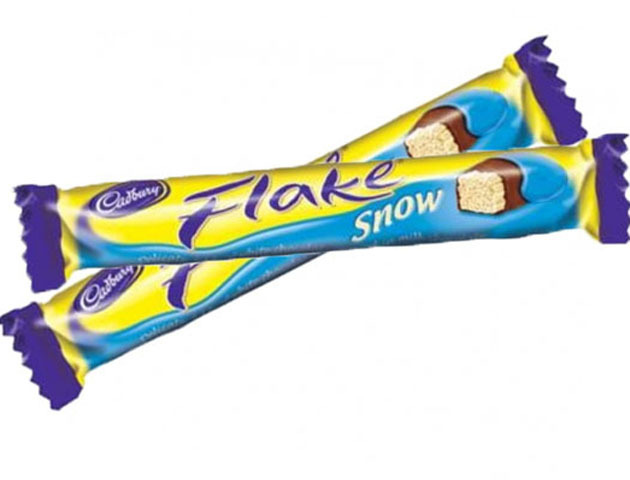 Someone at Cadbury’s decided it was a good idea to discontinue this amazing Flake. Who wouldn’t want crumbly-flaked white chocolate covered in milk chocolate – the best of both choccies in a single bar. The world just wasn’t ready for these 3D snacks and their zingy flavours: Zesty Ranch, Nacho Cheese and Jalapeno Cheddar. We reckon its time for a crispy comeback. 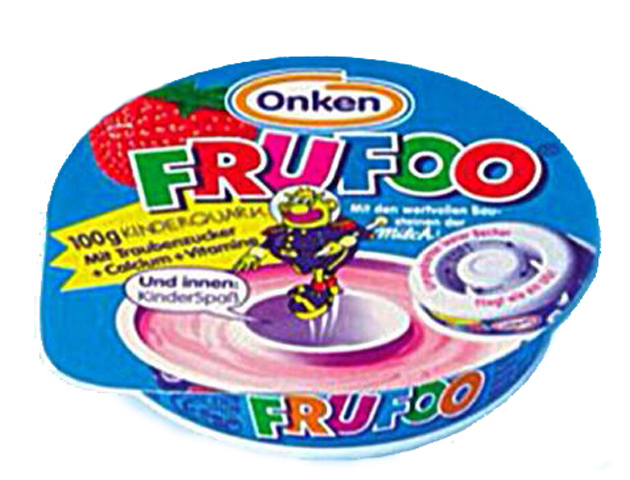 Bring back the Frufoo! These UFO-shaped desserts came with a toy in the middle – a bit like a Kinder Egg but yogurt-style. 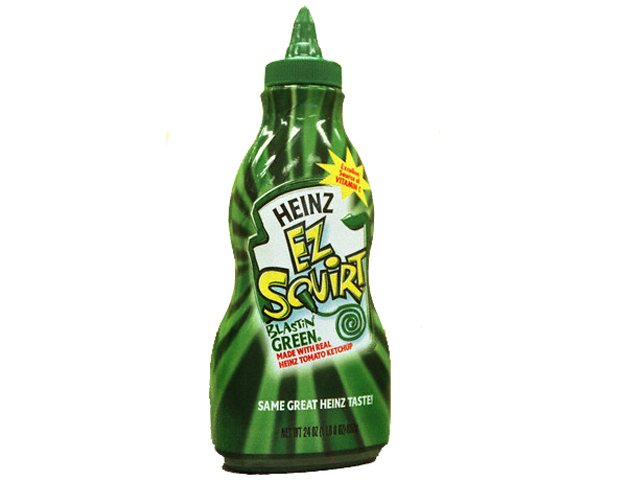 We all thought this soft drink was amazing. 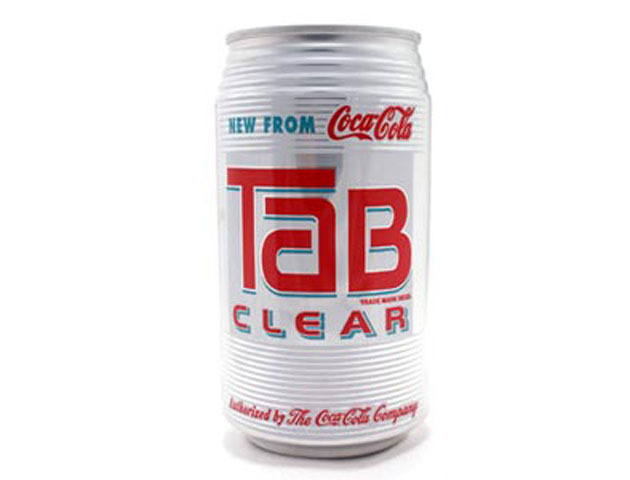 It was like Coca-Cola – only clear, so we somehow felt better about drinking it. And one thing we’re glad to see the back of..! Just NO!  We don’t need this back…ever! It just looked wrong on your plate. Keep ketchup red! Join us in some food nostalgia? What would you love to see make a comeback?